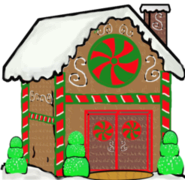 Clubs, Camps, Kid's Night Out and Holiday Happenings! Adult admission to Breakfast with Santa. Pre-order required - limited availability. Includes breakfast, most children's activities and the joy of making lasting memories with your little ones! We are very excited this year to have our elves serve a wonderful breakfast catered by Tejas. Why should the kiddos have all the goodies!? Sorry adults, you must come with a pre-registered child to be admitted. To add an adult to an existing order please email Jubilee Zoo. Please Note: We are not able to offer cancelation refunds for this event. We invest in supplies and hire help according to the number of booked participants. The Easter Bunny will be at Jubilee Zoo on Sunday, April 14th, 2019. Bring your camera! EB will have a basket full of gifts for his young visitors. Bounce houses, hayride and animal feed mixing station are included. Check-in is 2:00 - 2:30 followed by games and egg gathering. Child and adult tickets are the same price - $15 per person. As always, children under 24 months of age are admitted Free with a paid adult. Schedule of events available on our calendar page. 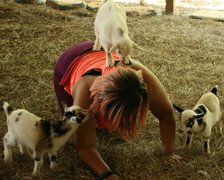 Quinn Strong is our resident Goat Yoga Teacher! She has been practicing yoga for more than 9 years, and teaching around the Shreveport-Bossier area for over 3 years. She specializes in Vinyasa, Gentle, Yin, and more. 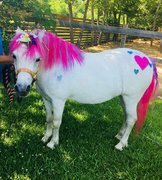 She has a love for animals and making others smile! Come join her, here at Jubilee Zoo, for some fun and silly Goat Yoga!! Participants must be 13 years of age or older. Tickets must be pre-purchased. No refunds. Childcare during your goat yoga session is available for children aged 3 and up of participants at the additional cost of $15 per child. Includes regular admission to Jubilee Zoo. MUST BE PRE-PURCHASED so we may schedule the appropriate employees. Please enter child(ren)'s name(s) and age(s) in the comment section of your order form. We will have games and prizes for them! • Play water wars (water balloon battleship) and/or play at the Jubilee Splash Pad. • Hayride with our Night Out staff to see and feed the big animals. • Bounce and slide in the inflatable play equipment. • Help our staff feed and care for the smaller animals. This is sooo much fun that you might even want to invite your parents to stay and play with us, but that is entirely optional. Please bring a beach towel. Wear water-resistant sunscreen and insect repellent. Notify us of any allergies and bring your supper if you can't eat ours. Swimwear is optional (we will not change clothes - just towel and drip dry.) $25 plus tax cover charge per child. Parents who wish to stay with their child are FREE (but no food included for them). Limited spots available. Pre register by Tuesday 9/26 and receive a camel spit token to activate the splash pad camel foam. Calling all Brave Knights and Gentle Ladies between the ages of 4 and 12! (Younger children welcome with parental participation.) You are invited to Jubilee Castle on Monday, September 3rd (Labor Day) for a Knight with a Dragon costume party. Help us hunt elusive phoenix eggs with our beautiful unicorn and her elf maiden handler to uncover clues as we find the ingredients to make Dragon Soup. The party just won't be right if we don't have dragon soup for our pet dragon's birthday treat while we eat pizza and popcorn. We will play tournament games and earn coin of the realm to spend at the Medieval Market upon prizes to take home. Come dressed as a princess, knight, dragon, elf or in another non-scary costume if you like. Parents are welcome to stay and play (one free adult per child) or go party their own way. Food not included for adults but may be purchased from the snack bar. Check-in is between 10:00 and 10:30. Program with lunch is from 10:30 until 12 noon followed by free play on the bouncy houses until parents arrive between 12:30 and 1:00. Late fee applies for dropped-off guests not picked up by 1. For drop-off, children must be at least 4 years of age, potty trained and not likely to be frightened of costumes or our inflatable dragon. Pre-registration by October 10th required. SPECIAL NEEDS PANCAKE LUNCH WITH SANTA! December 19th, 2017 from 12:30 pm until 2:30 pm we will offer a wonderful opportunity for special needs little ones and their families to visit with Santa at Jubilee Zoo. Pre-registration required. Due to the sensitive nature of some of our special guests this event is limited to special needs children, their participating siblings and their families. Each breakfast includes pancake breakfast, Santa visit, a mini hayride and food for the animals, Bouncey Houses, Sno Pit play, and a new stuff-your-own Christmas "friend" from our Making Friends Factory. Up to 2 adults admitted free with each paid child. Additional adults may pay regular price of $12 for admission. Concessions will be available for adults wanting to purchase lunch or bring your own. Winter Wonderland - Bring your camara and make some memories.